CORPUS CHRISTI, Texas – “Chancellor Shark,” named for Texas A&M University System Chancellor John Sharp, is the newest Shortfin Mako shark tagged by the Center for Sportfish Science and Conservation at the Harte Research institute for Gulf of Mexico Studies at Texas A&M University-Corpus Christi. Shortfin Makos were recently declared endangered by the International Union for the Conservation of Nature (IUCN) and added to its infamous red list of threatened plants and animals. Chancellor Shark was caught by researchers off the Texas Coast in late February 2019 near a standing oil rig known to be a hangout for Mako sharks. A satellite wildlife tracking tag was attached to his dorsal fin that will send a signal each time he breaks the surface, allowing scientists to observe his migration through the Gulf of Mexico and possibly beyond in real time. His movements will also be broadcast on a digital map online powered by the wildlife tracking nonprofit OCEARCH, and ocean lovers can follow him and other tagged sharks as they migrate through the Gulf of Mexico at MeetOurSharks.org. Chancellor Shark is HRI’s youngest tagged Mako, measuring in at 6.3 feet and 135 pounds. That makes him of special interest to researchers because it’s rare to tag a male juvenile shark. Adult female Mako sharks tagged by the Sportfish Center have largely hung around the Gulf of Mexico, while several of the male sharks have undertaken long migrations to far-flung coasts. 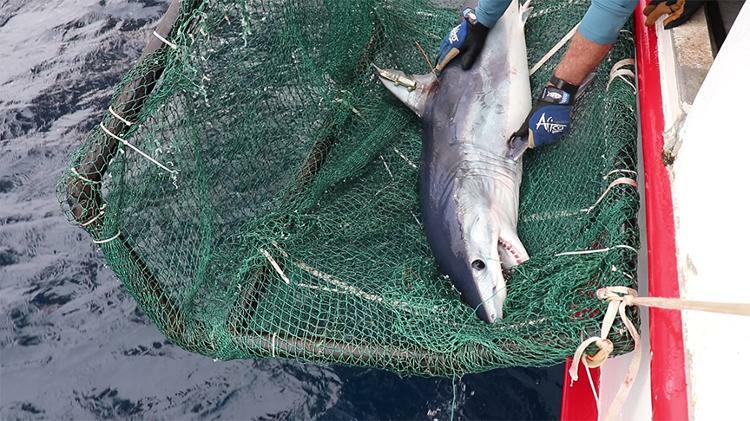 Pico, a male Shortfin Mako tagged by the Sportfish Center last year, astonished scientists when he suddenly undertook a migration of thousands of miles from the Western Gulf of Mexico, around the tip of Florida and up the Atlantic Coast. Pico spent the fall and winter off the coast of New England before taking the long journey home. These patterns lead some scientists to believe the Gulf may actually be a breeding ground for these vulnerable Mako sharks, and scientists are excited to observe the movements of Chancellor Shark to see how they’ll fit the puzzle. Scientists still have a lot to learn about sharks’ day-to-day lives in the Gulf of Mexico, and this is especially true of the Shortfin Mako, whose speed and lengthy migration paths make them a challenge to study. Mako sharks can reach speeds of up to 60 mph and are one of the fastest fish in the ocean — just one month after being tagged, Chancellor Shark had already done a loop around the Western Gulf, clocking more than 718 miles of travel. “In order for these sharks to recover, they have to be protected globally,” said Kesley Gibson, a doctoral student studying under Stunz in HRI’s Fisheries and Ocean Health Lab. One of the researchers who tagged Chancellor Shark, Gibson’s dissertation focuses on the migratory paths of Shortfin Mako sharks. The Sportfish Center’s shark tagging and tracking program, run out of Texas A&M University-Corpus Christi, is the largest in the western Gulf of Mexico, and has tagged almost 6,000 sharks in an effort to better understand the migratory patterns and habitat of these threatened but charismatic predators. 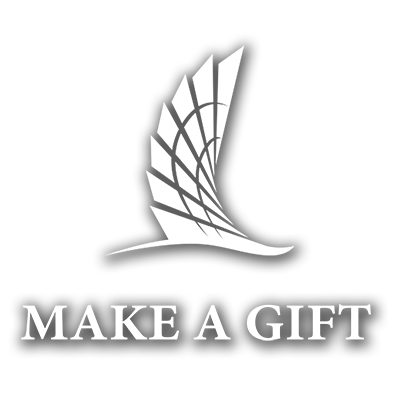 Learn more by visiting the Sportfish Center’s website, SportfishCenter.org. Description: Chancellor Shark is a Shortfin Mako shark tagged during a research expedition by scientists with the Harte Research Institute’s Center for Sportfish Science and Conservation at Texas A&M University–Corpus Christi. “Chancellor John Shark” is named after the Chancellor of the Texas A&M University System, John Sharp. The Texas A&M University System is one of the largest higher education systems in the nation and comprised of 11 universities and 7 state agencies. Mako sharks are one of the fastest swimming fish in the ocean and are known to make large-scale movements. Tracking sharks like Chancellor Shark will inform scientists about their migration patterns and habitat use in the Gulf of Mexico, helping to promote the conservation of these majestic apex predators.